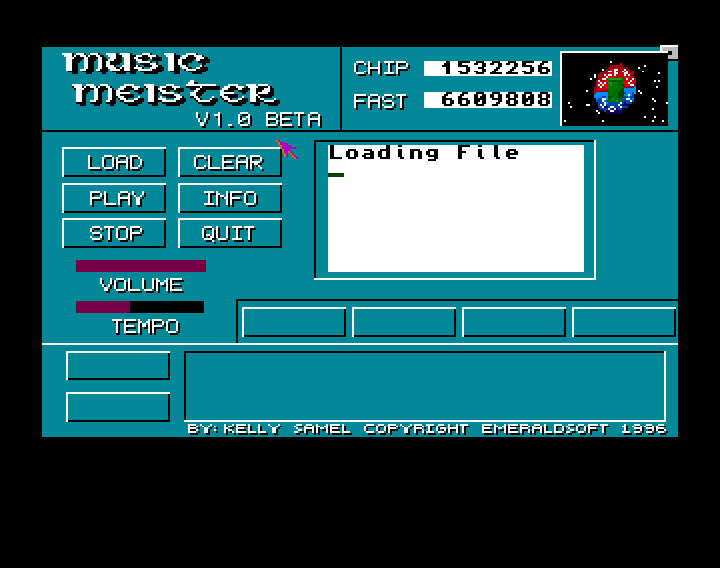 Music Meister 1.0 is an AMOS .abk music player. Some example tunes are included, but you can find more on Aminet. The buttons on the bottom of the screen are, according to the author, reserved for future goodies.